Owlting（ Obook Holdings Inc.）was registered on year 2011 Owlting is a SoLoMoMa ecosystem platform that focus on Social, Local, Mobile and Map. It has a vision to be Airbnb for global merchants. 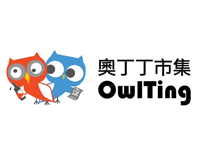 Owlting market currently is the top e-commerce platform in Taiwan for fresh food and delivery like daily fresh milk from the farms. It not only help those farmers earn 5x to 10x more using thepower of e-commerce, but also reduce food wastage. It direct P2P selling model also helps consumers to get cheaper products. It currently target middle and higher market consumers.